This project shows you how to implement a simple piece of Glassware that demos the major functionality of the Google Mirror API. To see a fully-working demo of the quick start project, go to https://glass-python-starter-demo.appspot.com. Otherwise, read on to see how to deploy your own version. A web server - You need a place to host your files. Apache httpd and nginx work great. To use subscriptions you also need an Internet accessible hosting environment with a valid SSL certificate signed by a trusted certificate authority. Note: You can start developing with a localhost instance of your HTTP server, but you must have an Internet accessible host to use the subscription features of the API. 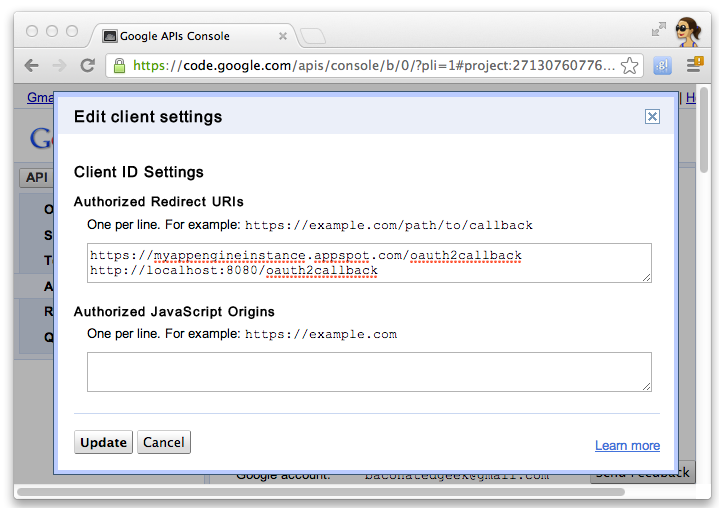 Go to the Google APIs console and create a new API project. 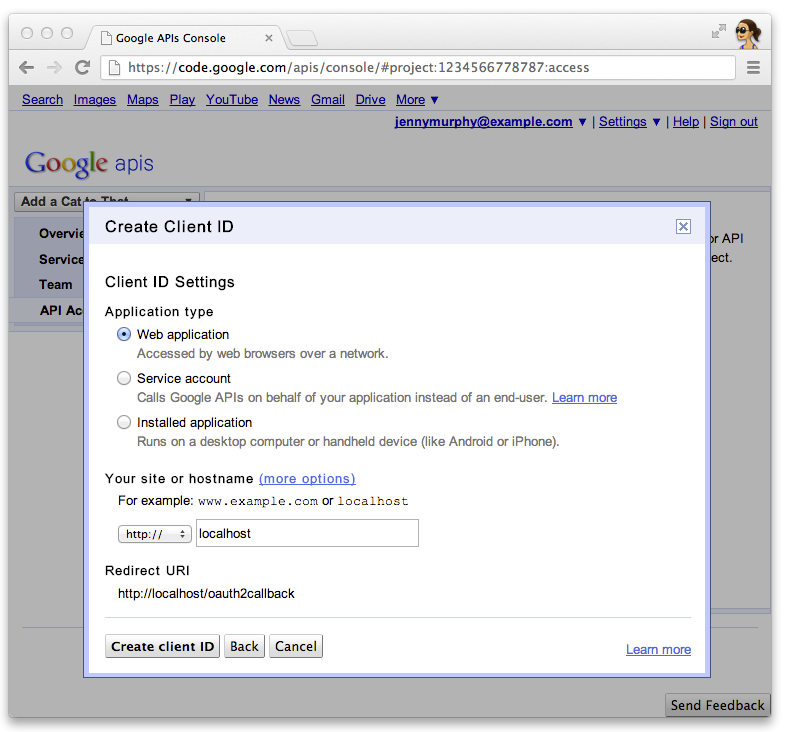 Click Services and enable the Google Mirror API for your new project. 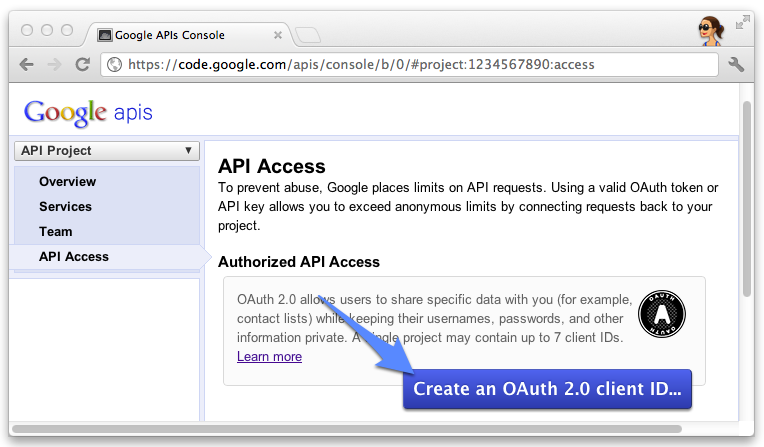 Click API Access and create an OAuth 2.0 client ID for a web application. Specify the product name and icon for your Glassware. These fields appear on the OAuth grant screen presented to your users. Click Edit settings... for the client ID to specify redirect URIs. Specify the callback URLs for your local development web server, for example http://localhost:8080/oauth2callback, and for your deployed web server, for example https://example.com/oauth2callback. 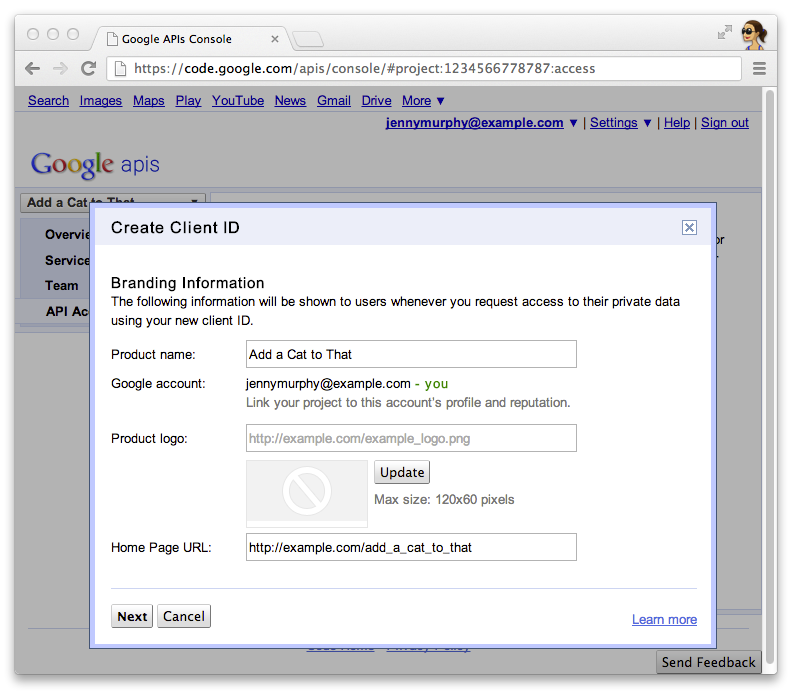 Make note of the client ID and secret from the Google APIs Console. You'll need it to configure the quick start project. Note: You also need the simple API key for the PHP starter project. Copy the PHP Quick Start directory to the documents directory of your HTTP web server.